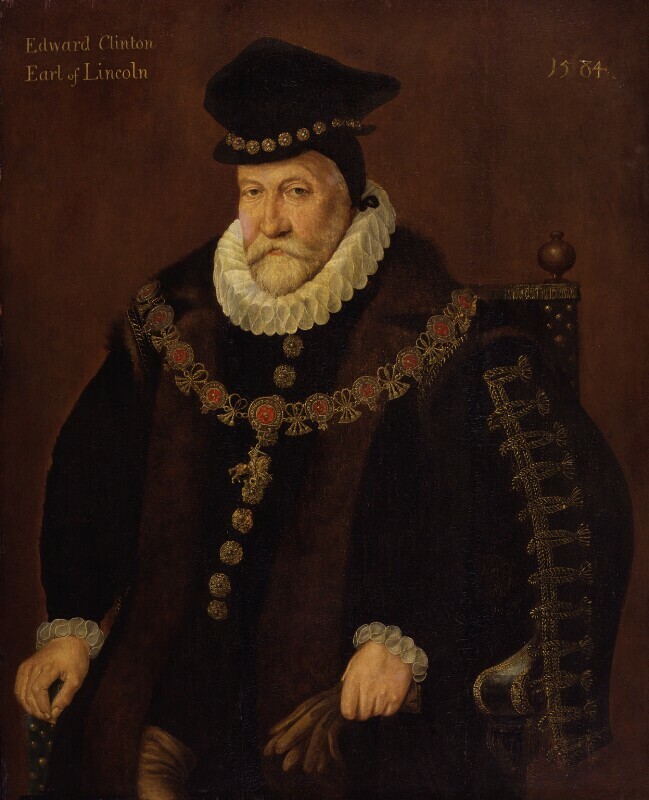 Edward Fiennes de Clinton, 1st Earl of Lincoln (1512-1585), Lord High Admiral. Sitter associated with 5 portraits. Unknown artist. Artist associated with 6569 portraits. Expulsion oft he Spanish ambassador to England for his part in the Throckmorton Plot to assassinate Queen Elizabeth I. Parliament passes legislation to expel all Jesuits from England. The explorer Sir Walter Ralegh renews his half-brother Sir Humphrey Gilbert's patent to explore and colonise North America. Sir Walter Mildmay established Emmanuel College, Cambridge, to train Protestant preachers. Assassination of William of Orange, leader of the Dutch rebellion against Philip II of Spain. His son, Maurice of Nassau, succeeds him as Prince of Orange and stadtholder of Holland, Zeeland, and Utrecht. Death of François, Duke of Anjou. The Protestant Henry of Navarre becomes heir to the French crown. Death of Ivan IV (the Terrible), Tsar of Russia. Succeeded by his son Feodor, power lies in the hands of Feodor's brother-in-law, Boris Godunov.